Drake Fighters wield curved war blades, and possess the fire-breathing skills of their ancestors. They can also fly, which is troubling to any foe. 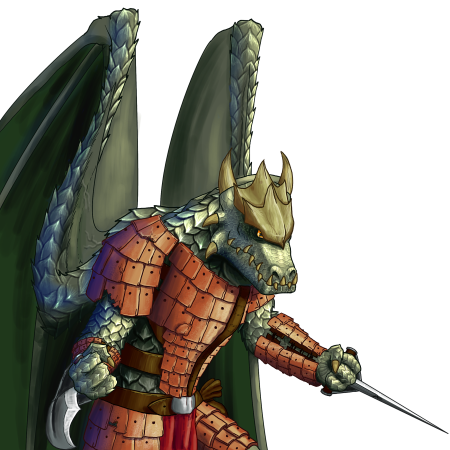 Their great strength, coupled with their hardened scales, is rightly frightening to swordsman of any other race.